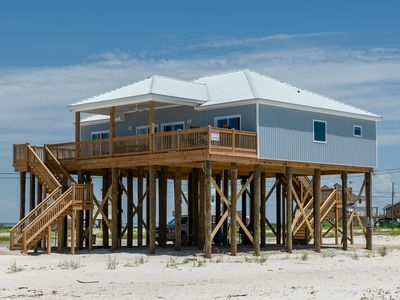 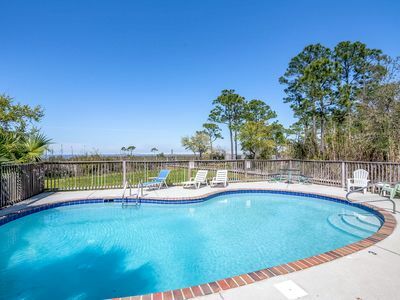 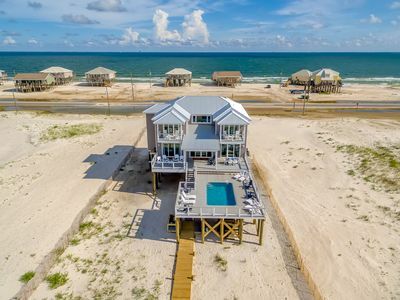 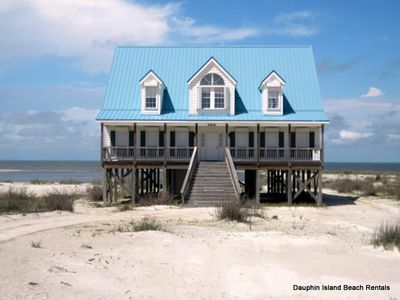 This large, beautiful Dauphin Island beach house has a private bay-front beach, plus great views of the Gulf of Mexico, which is literally across the street! 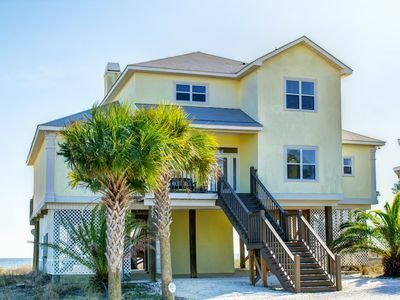 This bayfront 3 bedroom (plus 1 bunk bedroom off the master) , 3.5 bath home features a large, 800 sp ft screened-in porch that runs the entire length of the house! 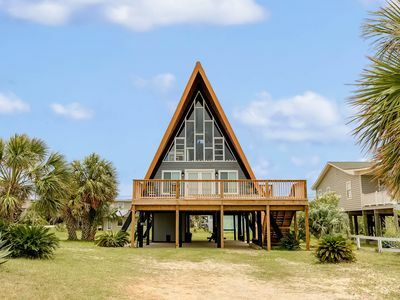 Relaxation has 1 king bed, 2 queen beds and a bunk bed. 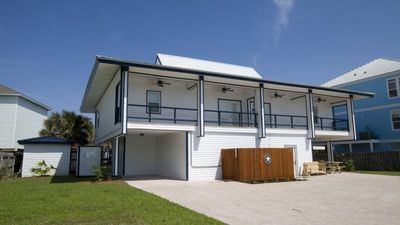 This home also has a seperate bunk room that sleeps 2 off the master bedroom on the first level for the little ones. 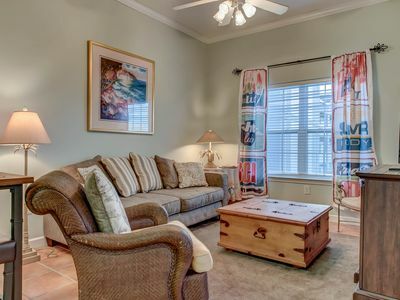 The sleeper sofa is located in a sitting room off the kitchen. 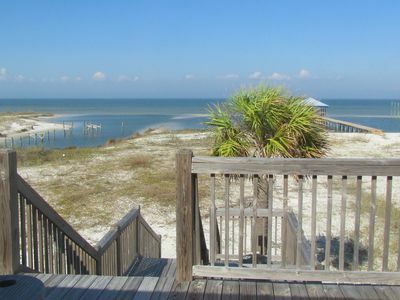 There is a deck below the house with swings for relaxing in the shade and enjoying the view of the Bay. 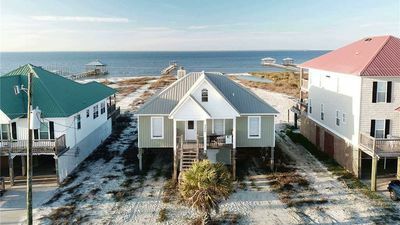 At nearly 3000 sq ft, this is one of the larger houses available on the Island, with a lot of space for a family to enjoy both inside and outside, bayfront and also across from the Gulf. 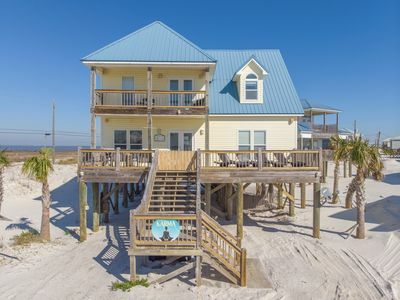 This home has 3 televisions and 2 DVD players, WiFi internet and a phone for local calls There is also a gas grill provided. 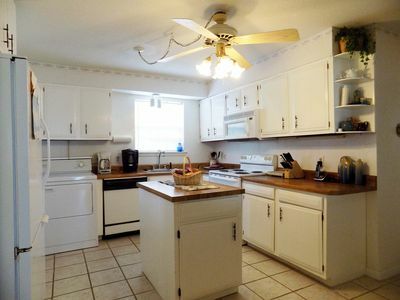 As with all of our homes, linens, towels, and fully-equipped kitchens are provided. 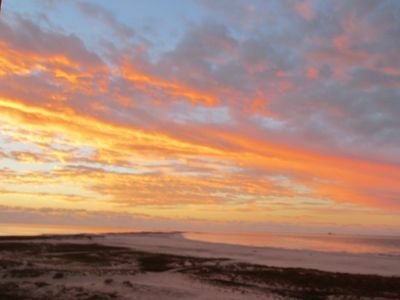 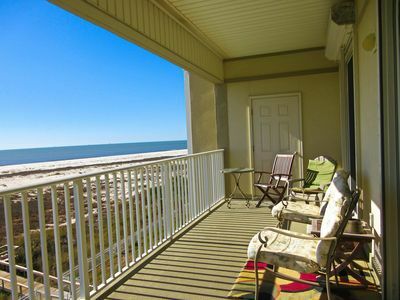 "BEACH THERAPY" - HOLIDAY ISLE 5TH FLOOR - 2/2 - SLEEPS 5 - BICYCLES INCLUDED! 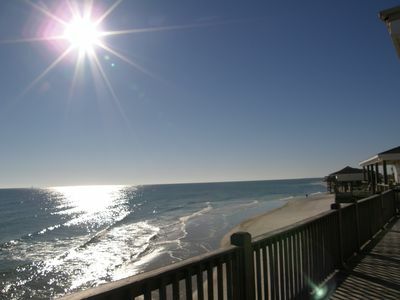 Beautiful Gulf Beachfront - Sleeps 10, Pet Friendly! 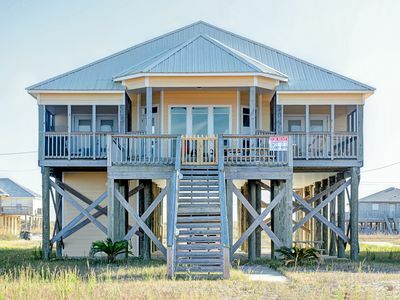 "Island Sunrise" on the Gulf of Mexico | Decks with views | Fun Living Area! 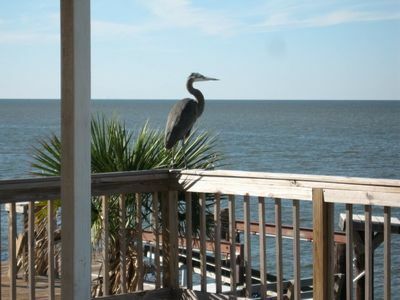 "Sun Chase" on Mobile Bay | Pet-Friendly | Great Views from Deck! 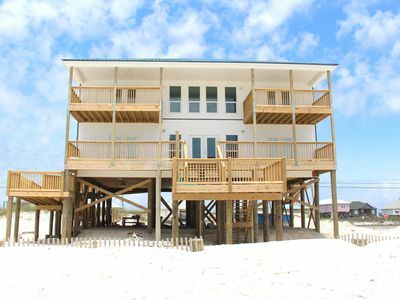 May 18-24 $3126. 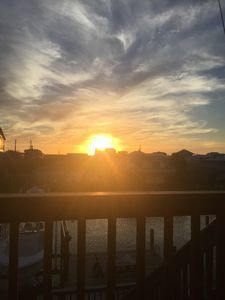 Email to book. 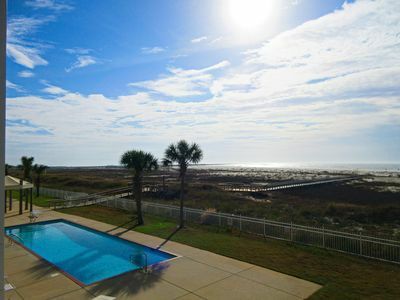 'Bout Time - 5 Bedroom, 4.5 Bath, Sleeps 16, Waterfront with PRIVATE POOL! 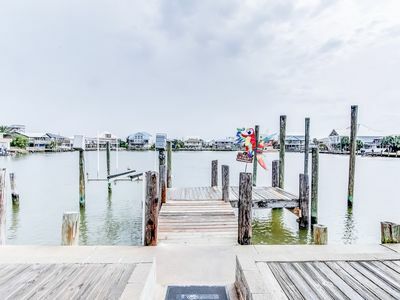 Bayfront home w/ private dock, deck & sleeper porch - dog-friendly!